The Pittsburgh Penguins have signed forward Thomas Di Pauli to a two-year, entry-level contract, it was announced today by executive vice president and general manager Jim Rutherford. Di Pauli was originally drafted by the Washington Capitals in the fourth round (100th overall) of the 2012 NHL Draft at CONSOL Energy Center. He became a free agent earlier this week. Di Pauli, 22, played in all 37 games of the 2015-16 season with the University of Notre Dame, scoring a career-high 14 goals and 18 assists for a career-high 32 points. Di Pauli served as alternate captain for the Fighting Irish, finishing the season with a plus-13. He was named an Honorable Mention Hockey East All-Star and was also voted the team’s Offensive MVP following the season. The 5-foot-11, 197-pound, left-handed shooter finished his four-year career at Notre Dame with 30 goals, 48 assists and 78 points. 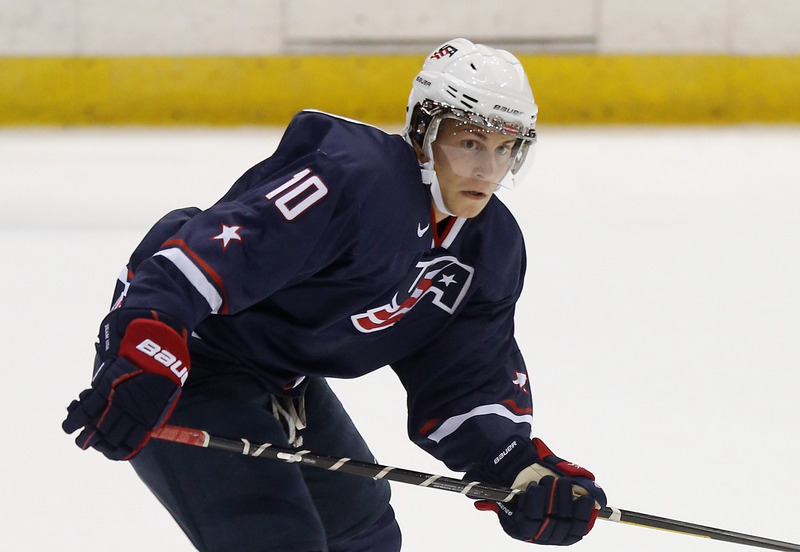 Di Pauli was selected to the 2014 U.S. World Junior National Team where he recorded three assists in five games. Di Pauli also played for the United States National Team Development Program for two years (2010-12). He served as an alternate captain with the Under-18 team in 2011-12. He helped the Americans win the gold medal at the Under-18 World Junior Championships in 2012, recording an assist in six games. He was also a member of the Under-17 World Hockey Challenge team that won silver in 2010. Di Pauli was born in Caldaro, Italy and moved to Downers Grove, Illinois, a suburb 40 minutes outside of Chicago, along with his mother and brother, Theo, to play hockey for the Chicago Mission when he was 12.